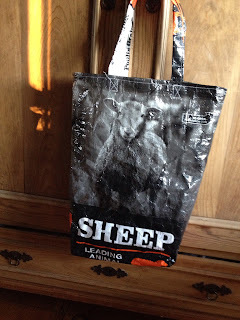 Barn Bags are machine stitched individually from actual grain sacks from our hens, sheep, and goats! They are durable and will make perfect reusable shopping bags. Approximately 14 inches square. Bags are $12 each and $2 shipping within the U.S.